The home of Pinot Noir is the Côte d’Or region of Burgundy. Whereas other classic varieties have found successful interpretations of its fruit in other regions, Burgundy’s inimitable expression of Pinot Noir has few competitors. Within the Côte d’Or, most of the Grand Cru vineyards for Pinot Noir are located in the northern Côte de Nuits region. Here, the expression ‘iron fist cloaked in velvet glove’ is apt: Layers of strawberries, raspberries with spicy and meaty notes are cloaked in silky textured but firm tannins with fresh acidity. The fruit opens up in the palate like a peacock’s tail with the very best wines leaving a long, lingering finish of complex fruit and minerality. Burgundy red wines, which are synonymous with pure Pinot Noir expression, have a wide stylistic and quality range. Simple regional blends or négociant wines may display delicate raspberry or cherry fruit with a hint of vegetal and earthy notes. At the other end of the spectrum, wines from the best producers of Premier Cru and Grand Cru vineyards display alluring, complex flavours that are elegant and haunting. With the firm structure (acids and tannins) providing the backbone, these wines have a myriad of flavours which evolve and change in the glass as well as with time. In its youth, the wines have layers of red-berry fruit, spices, game and floral notes. With time, the truffle and mushroom character add to the wine’s nuances. These thin-skinned grapes are notoriously temperamental. One of the key reasons is because Pinot Noir needs a long, cool ripening period in a marginal climate. Too much heat, and the fragrance and delicacy of the variety is lost as well as its acidity. Too little heat, and the vegetal notes dominate, producing weedy flavours devoid of fruit. Despite the challenges, Pinot Noir is planted extensively in Europe and the New World with demand generally outstripping supply. Quality regions for this variety are always cool, with the most successful New World regions being New Zealand and coastal California and Australia. New World Pinot Noir expression is more fruit-dominant, with fewer nuances of game, earthy or vegetal characters. 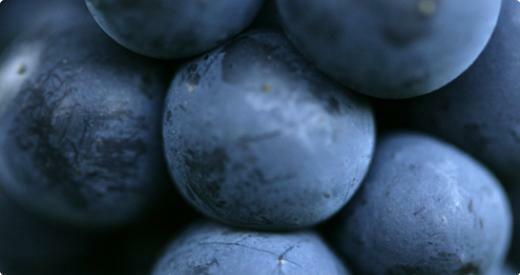 Good examples are characterised by sweet red berries – raspberry, red cherry and strawberry, supported by firm acidity. Pinot Noir has an affinity to oak, which can add spicy or toasty elements though these aromas can sometimes overpower the delicate fruit. Rise in new plantings have resulted in excellent, delicate expressions of this feminine variety from places like Central Otago, Martinborough, Mornington Peninsula, Geelong, Russian River Valley and Central Coast California.